The chocolatier in Birmingham, having won a number of prestigious awards, including the great taste gold 2012 Birmingham, is lucky to have such talent. 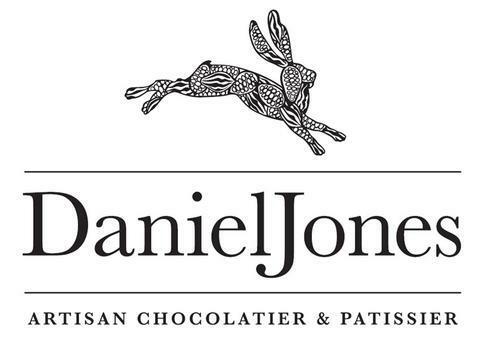 As a company, Daniel Jones insists on using fairly traded cocoa and they have scoured the world for the best cocoa available, not just for their customers, but the cocoa farmers and traders. Daniel's personal knowledge about chocolate, cocoa beans, types of flavours that work, and the flavours that have the potential is astounding. Daniel 'has his head screwed on', and what this young entrepreneur doesn't know about cocoa …well, you get it. Daniel has an array of chocolates in his store from truffles, 'bites', big slabs and other exotic chocolatey pieces. Terribly tempting, but the 60g blocks of chocolate are arguably the best of the lot for busy bunnies –they are the perfect size when you're on the go, and they won't spoil thanks to the decorative (and easily re-sealable), wrapper. I've tried the Ecuadorian 70% dark chocolate, which is a decadent treat for dark chocolate fans. They of course have a selection of in house chocolates that are little cubes of chocolate with a smooth ganache centre! There are nine flavours, (rose petal champagne, and blueberry being my favourite), so you're really spoilt for choice; available in boxes of 16 or 36 they make a great present for those lucky enough to receive one. So get in the gift-giving mood (with Valentines Day and Easter on the way) and pick a few pieces. Or if your loved ones prefer a less glutinous indulgence how about the new line of hot chocolates? The Daniel Jones blends come in 125g packets with the same amount of detail and attention paid to the packaging as well as information about the ingredients - perfect for friends who are sticklers when it comes to what's in their drinks. Spoil yourself, or share the love and buy your favourite people a luxury bar, or a box, or both, and make them a very happy, chocolate filled bunny.